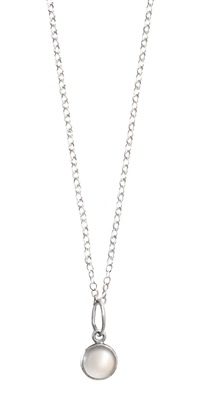 A necklace of a faceted natural gemstone briolette and faceted beads on an open link sterling silver chain. Shown in Peruvian Chalcedony. Sterling silver and natural Opal necklace. Shown in natural Australian opal and Peruvian opal. Sterling silver necklace of a gemstone cabochon. Shown in natural white opal. 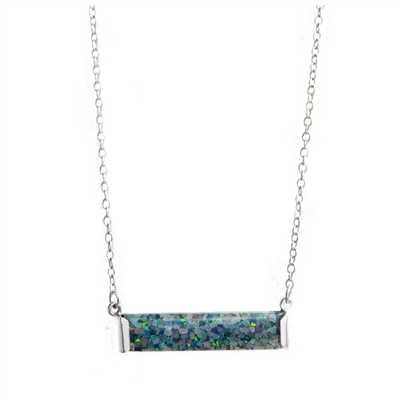 Sterling silver necklace with a bezel set natural opals. Available in opal triplet, opal doublet or Peruvian opal. Each opal varies in size and are approximately 3/4" - 1" inch. 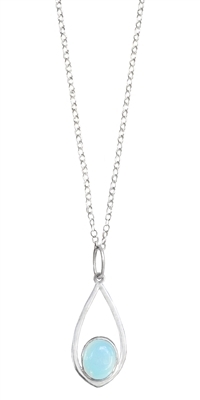 Sterling silver necklace with a soft dagger shaped gemstone. Shown in chrysoprase. 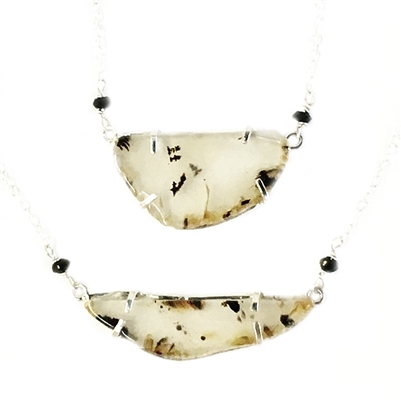 A sterling silver necklace with free form Montana agate pendant. Each pendant varies in size and shape. Approximately 1-1.5" inch. 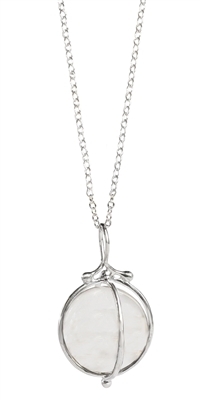 A limited edition sterling silver necklace of a natural quartz sphere on a 16" inch chain. Handmade in the USA. Sterling silver bar necklace. Available with opal mosaic, carnelian, lapis or mother of pearl. 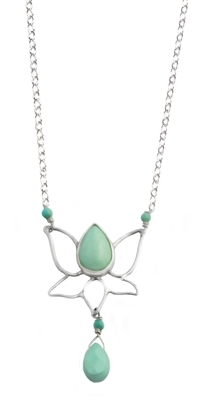 Sterling silver necklace of a lotus flower, bezel set cabochon and a faceted briolette on an open link chain.